By all accounts, Yahoo is not having all that great of a quarter so far. CEO Carol Bartz’s high-profile departure was a bit of an embarrassment for the company- Bartz was pretty candid when it came down the the cowardly way she believed her dismissal had been handled as well as her feelings on the matter- and traffic for the search engine continues to trail the more prolific Google. 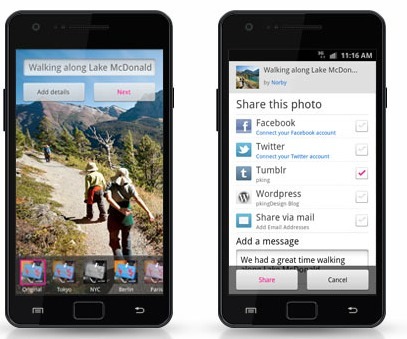 But it hasn’t stopped the company from moving forward and investing in products like Flickr. On Wednesday, Yahoo introduced point and shoot Android capabilities not too unlike that of rival Instagram for the photo-sharing property Flickr. Instagram is huge right now, but a planned Android launch has yet to occur and being scooped by Flickr could take a relatively big bite out of the app when it moves to other devices. Tim Morse, CFO for Yahoo, has stepped in in the interim to cover Bartz’s vacated slot.